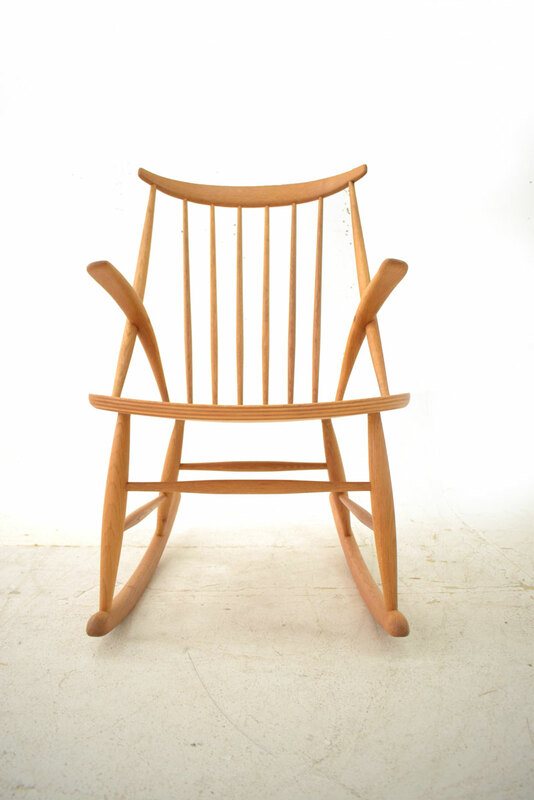 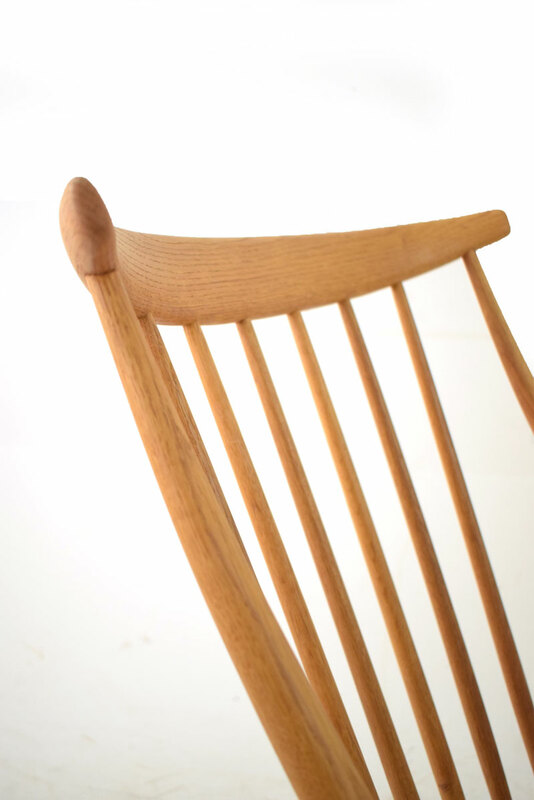 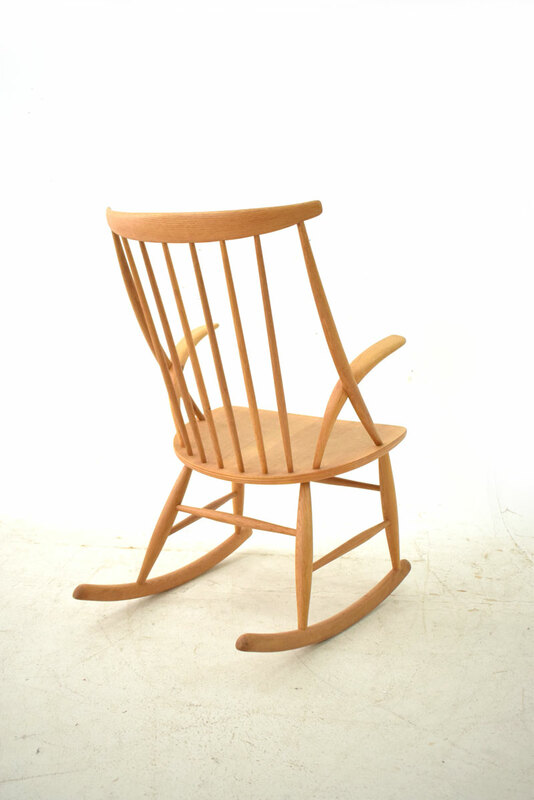 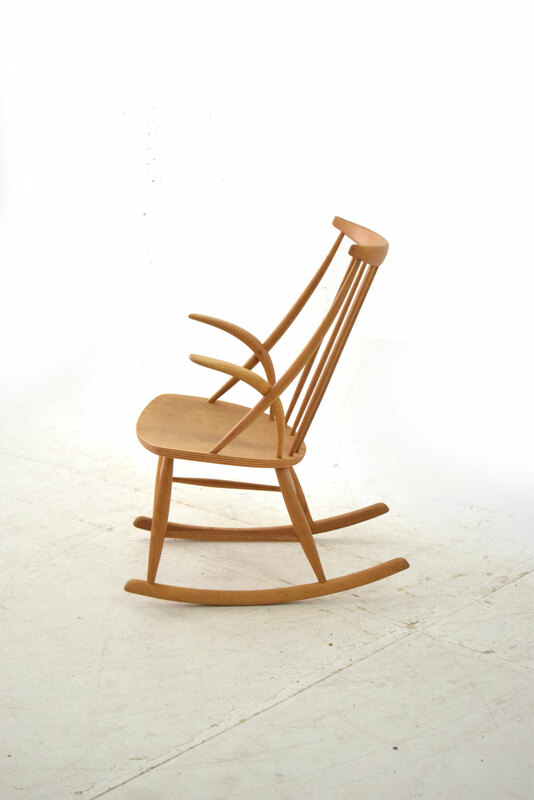 The light and airy form of this rocker, designed and made in Denmark, aesthetically epitomises Mid-20th century Scandinavian design. 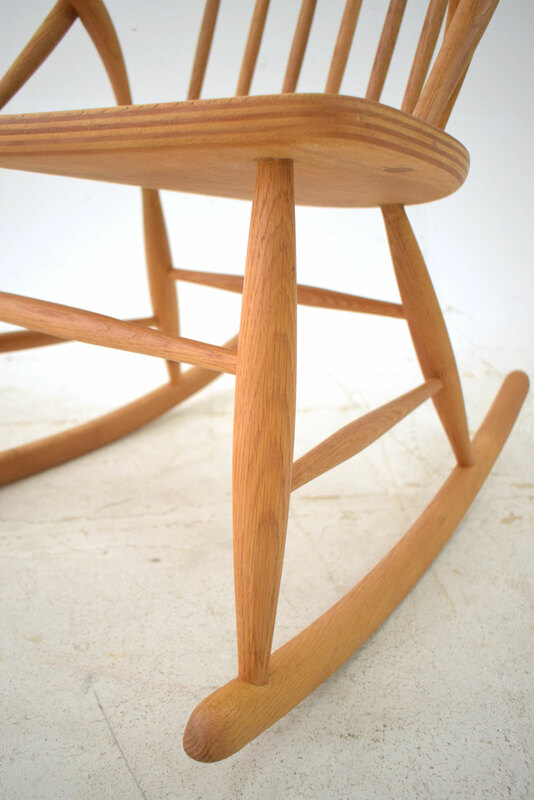 The solid and honest materials and construction also champion the tenets of Nordic modernism of this time period. 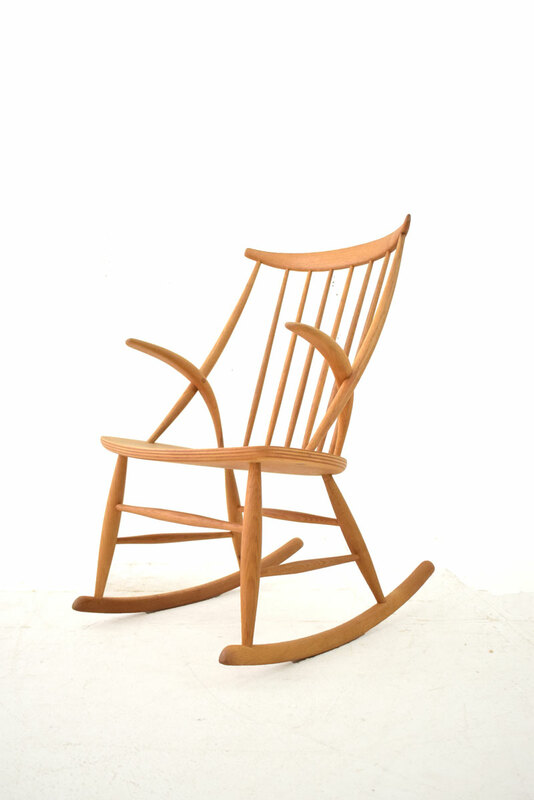 Resultantly we have a design which has stood the test of time both physically and regards appreciation. 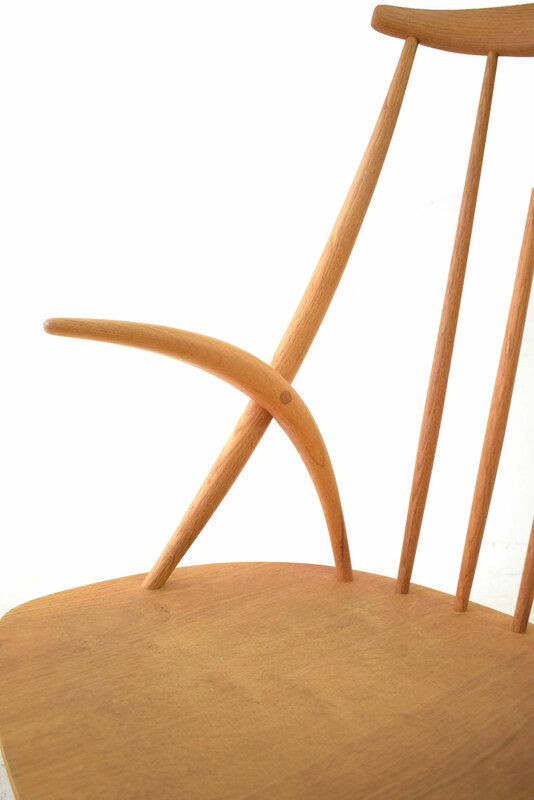 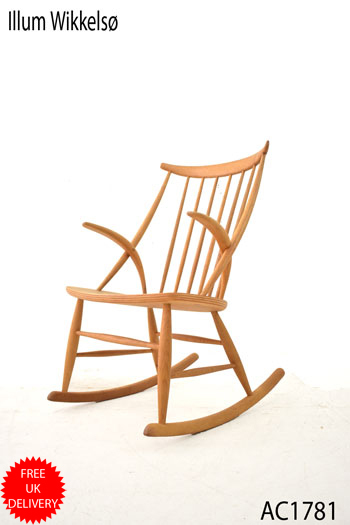 The shapes within this chair are truly gorgeous but they also serve to make a surprisingly comfortable wooden chair. 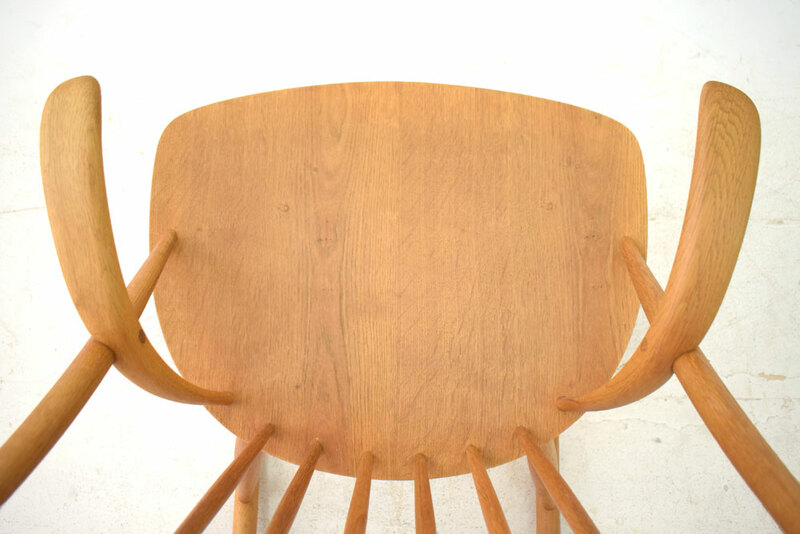 The grain of and patterns within each element of the chair are fantastic. 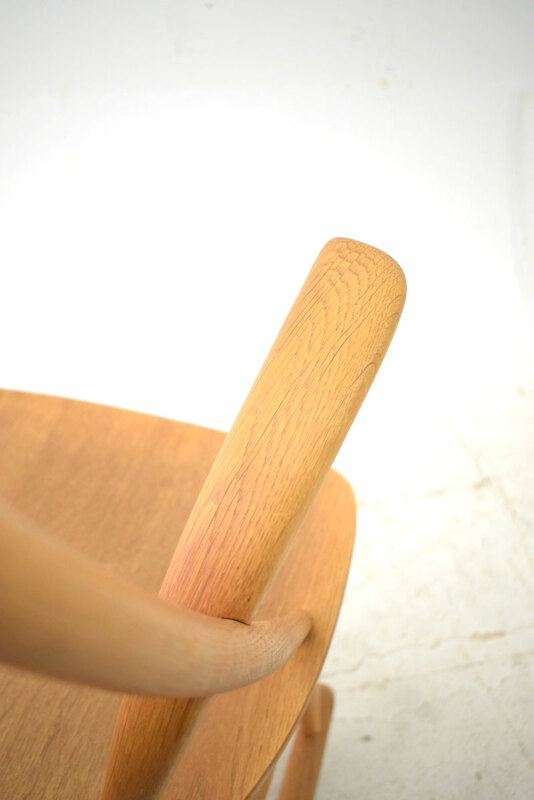 The wood is made even more sumptuous by the golden patina built up over the years.